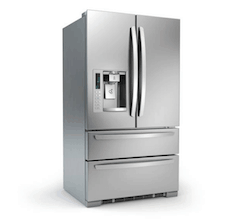 ASAP Appliance Repair offers appliance repair in Simi Valley, California. Our certified repairmen can fix all popular brands and all types of home appliances. Our customers can trust us to come to your house on time and receive great service and timely results. Why wait? You don’t have to go one more moment with a an appliance that doesn’t work in your home! ASAP Appliance Repair is available to repair most problems on standard models of refrigerators – includes commercial units, side-by-side and stand-alone. Our certified repairmen undergo on-going education to diagnose and fix cooling issues, slow ice makers, condensation issues, puddles and leaks, lighting, digital boards, smart technology synchronization and various problems. Learn more. 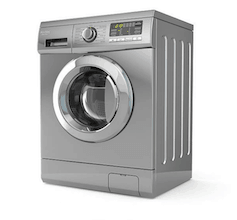 ASAP Appliance Repair provides service for all types of defects on older washing machines and dryers. This includes problems associated with agitation, vibration, banging noises, door closure, draining and many other common breakdowns. Customers in Simi Valley can expect us to finish the job during the first visit and to restore your appliance to its original condition. Learn more. 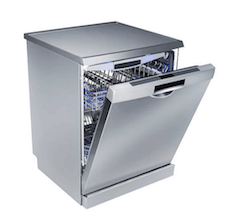 ASAP Appliance Repair is available for professional dishwasher repair service in Simi Valley. We diagnose and fix more dishwashers every week than any other household appliance. So we know dishwashers! We fix all types of issues that lead to unpleasant odors, cloudy silverware, unusual sounds, agitation, draining issues, burning, puddling water and several more. Learn more. ASAP Appliance Repair is licensed in repairing stoves, ovens and ranges – including commercial models for restaurants and hotels. Technicians are equipped with the best tools and training to repair doors, burners, control panels, heating coils and vents on gas and electric models. 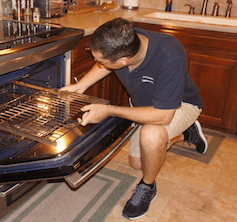 Our oven repair service includes a satisfaction guarantee and 1-year warranty on manufacturer parts and labor. Learn more. We believe ASAP Appliance Repair is the top choice for appliance repair in Simi Valley, CA. We stand by our service. Our main office is in Ventura County and we will try to perform same-day repair for homes in Simi Valley. ASAP Appliance Repair loves Simi Valley. We all grew up here and want the absolute best for residents and the local community. All of our experienced repairmen can repair and diagnose all types of household appliances. A polite, licensed and experienced technician will arrive at your house. That’s our promise to all of our customers! We offer service for dryers, refrigerators, freezers, broken washing machines, wine coolers, ovens and stoves, electric ranges, residential dishwashers and much more! Please read our Appliance Repair FAQ. We aim to always educate ourselves and our team on the most recent styles and latest household appliance technology to guarantee we best help customers! Q. IS IT PREFERABLE TO REPAIR OR REPLACE AN OLDER APPLIANCE? A. With a broken appliance in your house you have two choices. One option is to schedule an appliance repair and try to save money. 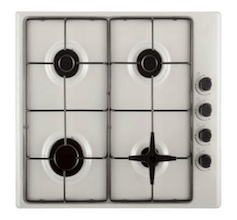 If that is successful, you will be able to continue using your stove, dishwasher, refrigerator or washer and dryer. The other route is to buy a new appliance. All appliances have an projected lifetime. If it is a broken appliance in the beginning or middle part of that average lifetime, we would recommend calling our appliance repair service. If the home appliance is close to the end of its expected lifetime, we would consider replacing the appliance with a new unit if your budget allows. Q. DOES YOUR SERVICE FEATURE WARRANTIES OR GUARANTEES? A. Yes. Our service features a 1-year warranty on all replacement parts and our labor. We utilize manufacturer parts for Frigidaire, Kenmore, Sub-Zero, Amana and almost all other major appliance brands to ensure we preserve the manufacturer’s warranty. Please don’t wait to call us at any time after our service if any issue returns with one of your household appliances. Q. WILL YOU REPAIR MY APPLIANCE ON THE FIRST SERVICE? A. It is our goal to finish the repair within the initial appointment. Throughout the years, we estimate we are successful in repairing things with only one appointment close to 85% of the time. We carry most of the most common replacement parts in our repair vans along with tools to complete the work. If we need to return to finish the repair, there will not be an additional cost. Q. WHAT IS THE TIMEFRAME FOR A SERVICE CALL? A. When you schedule service from one of our technicians, we give you a two to three hour window for our arrival at your home. And, our technicians will give you a call 10 to 15 minutes ahead of their arrival. We know just how important our customer’s time is. So, we try our best to be prompt. Since some repair jobs require more time than estimated, we give our repairmen some breathing space to finish up one job and still not be late for the next job. Q. WHERE CAN I FIND A LIST OF APPLIANCE BRANDS THAT YOU REPAIR? The repairman came on time. I told the repairman how the refrigerator stopped cooling this weekend. He offered me some ideas on what could be wrong and the options I had. I decided to replace the appliance instead of repair it. But I am still totally impressed with ASAP Appliance Repair and will call them if I need professional appliance repair. This is the most reliable appliance repair service in Simi Valley! Trust me! Incredibly helpful and prompt service. The service charge was also fair. Great service! I have nothing but good things to say about my appointment with ASAP Appliance Repair. I have even recommended them to a lot of my coworkers!